Traditional Chinese Medicine (TCM) is a term often misunderstood by many who think of it as a mystical, back-alley route to healthcare or a trendy new approach to healing used only by alternative types and completely ignored by the Western medical community. Neither perception could be farther from the truth. TCM is a complex and profound health paradigm with a complete diagnostic system in place to identify and treat diverse health issues with thousands of well-defined herbal pharmacological formulations to help heal the body. Here we explain the basics of Traditional Chinese Medicine — its roots, approach to medical care, and widespread use as a supportive therapy to modern-day healing protocols. TCM originated in second century BC and is considered the third oldest form of medicine and second most used medical system next to Western medicine. Its philosophy is rooted in the ancient philosophy of Taoism. An important guiding principle of TCM is qi (pronounced “chee”), a vital energy force that flows through 12 major channels in the body called meridians. Another significant concept of TCM is the application of yin and yang, a classification of diseases that describes the balance of opposing but dependent elements in the body’s organs. According to Chinese medical theory, the body’s vital energy, or qi, belongs to yang, while blood and body fluids belong to yin. Each organ has an element of yin and yang. Prolonged excess or deficiency of a yin or yang results in sickness and disease. TCM also relies on the theory of five elements — fire, earth, metal, water, and wood — to explain how the body works and guide treatment; these elements correspond to particular organs and tissues in the body and describe the physiological activities and pathological changes that occur. As a health modality that reflects and harmonizes with the relationships that exist within natural law, Chinese medicine practitioners believe that everything in our reality functions at the deepest, invisible levels and interacts with the surface or visible physical levels. In the United States, many medical doctors, doctors of osteopathic and naturopathy, and other licensed health practitioners also are trained in Traditional Chinese Medicine practices. In some states, licensed TCM practitioners, such as an acupuncturist, can order lab tests and imaging studies including X-rays and MRIs, much like a medical doctor. While they can’t prescribe medical prescriptions, healing practitioners can order herbal formularies as part of treatment. In conventional medicine, doctors are interested in the cause of illness, using physical exams and diagnostic tests to help make a diagnosis and design a course of treatment that includes allopathic remedies like surgery and medications. On the other hand, TCM practitioners make the patient the focus while they seek to uncover the root of the health problem. The goal is to treat the underlying disharmony and restore balance to the body, and improve a patient’s overall well-being rather than alleviate symptoms. To make a diagnosis and treatment plan, TCM practitioners use four pillars of examination known as look, listen, touch and ask, observing physical appearance and behavior, taking into account diet and lifestyle as well as family situation, community influences and environment. During an consultation with a Chinese medicine practitioner, a treatment strategy is prescribed based on identified patterns of disharmony, or disease, which have been proven safe and effective for thousands of years. TCM practitioners also analyze the size, shape, color and coating of the tongue, which is believed to be a critical window into the health status of internal organs. The most common types of TCM treatments prescribed are meditation, Chinese herbs and nutritional therapy, cupping, restorative physical exercises (tai chi, qiqong), massage and acupuncture to stimulate and regulate the flow of qi for optimal health. Traditional Chinese Medicine remains an adjunct approach to conventional Western medicine, but acknowledgement of its effectiveness in treating disease has grown dramatically over the last decade in the United States. More and more, traditional medical doctors are embracing TMC to help solve a range of health issues. 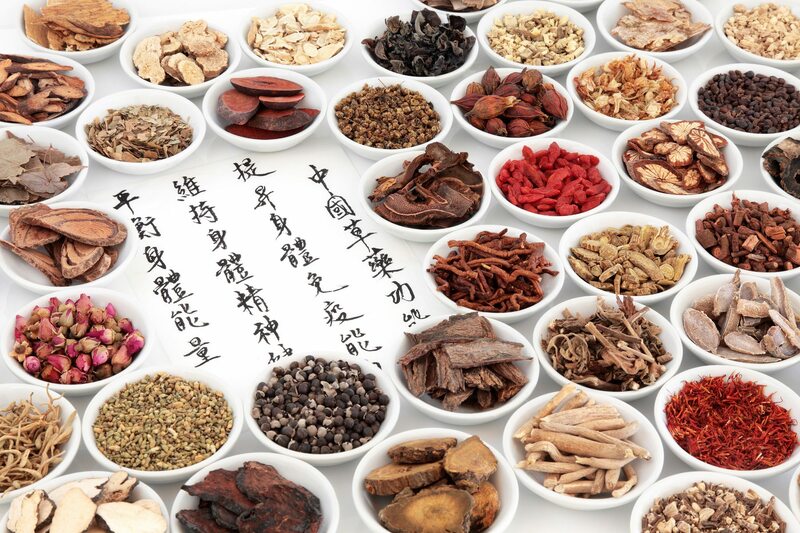 And In 2014, the Cleveland Clinic became the first traditional hospital in the country to prescribe Chinese herbal medicine through its integrative medicine services. It will only be a matter of time before more mainstream medical centers follow suit. To learn more about how Traditional Chinese Medicine can improve your well-being, contact Sicari Healing Arts for a consultation.